The promotion of upcoming televised sports events typically includes TV and radio spots which are traditional ways to hype up the event. With the 2016 NASCAR Sprint Cup Series around the corner, the NASCAR team wanted to increase viewership and more importantly, increase fan engagement with the NASCAR brand. Aside from the TV and radio spots, the NASCAR team wanted to deliver a giveaway at their summer events that would create a truly unique NASCAR brand experience. The NASCAR team and its ad agency worked with Americhip to plan and source a “swag bag” with unique promotional items. The bag itself was a compact drawstring cinch sack that fans could wear at the track and carry along their promo items and other personal belongings. Inside the bag were several branded promotional items that were thoughtfully picked out for NASCAR spectators. The bag included a bottle of water, a granola bar, and hand sanitizing lotion. The bag also included a checkered NASCAR flag that fans can proudly display on their vehicles. The highlight of the bag was a DIY S’Mores kit that included a Hershey Bar, a graham cracker and of course marshmallows. The kit was cleverly labeled “Want S’More NASCAR?”. 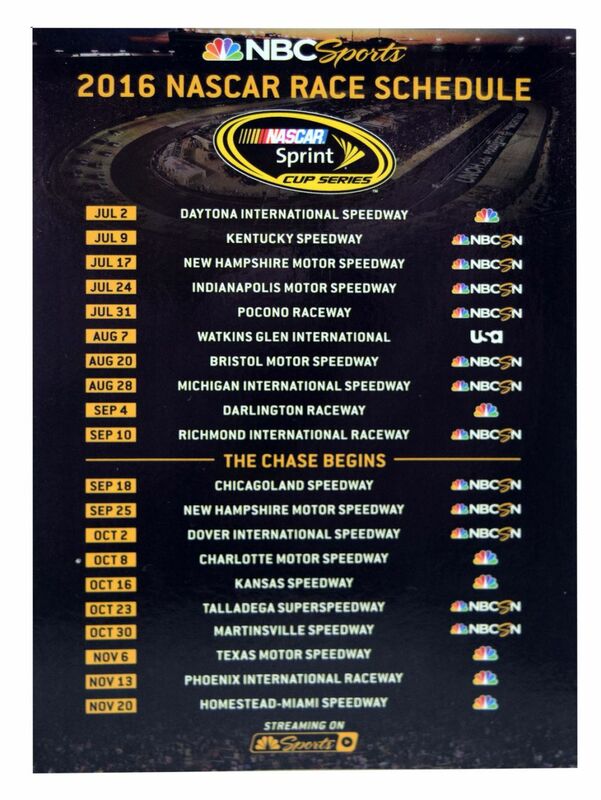 Lastly, and maybe most importantly, a refrigerator magnet was included that had the full 2016 Sprint Series schedule – further increasing the awareness of the events. 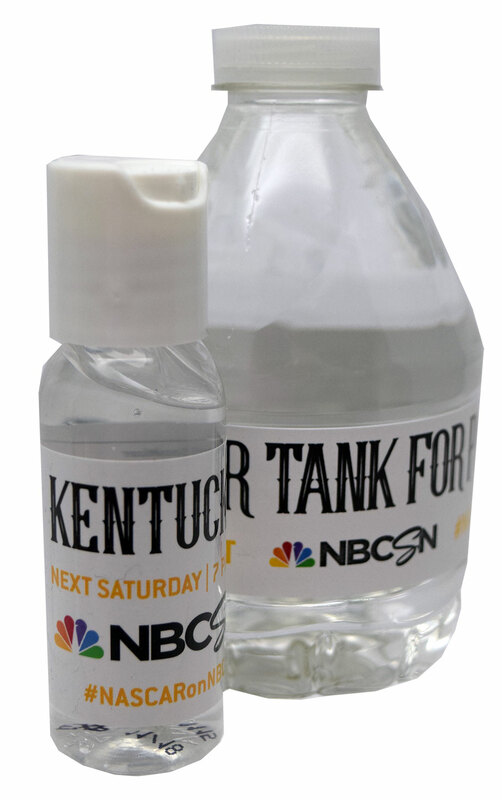 Each NASCAR branded promotional item included custom messaging for specific NASCAR Sprint Series races. 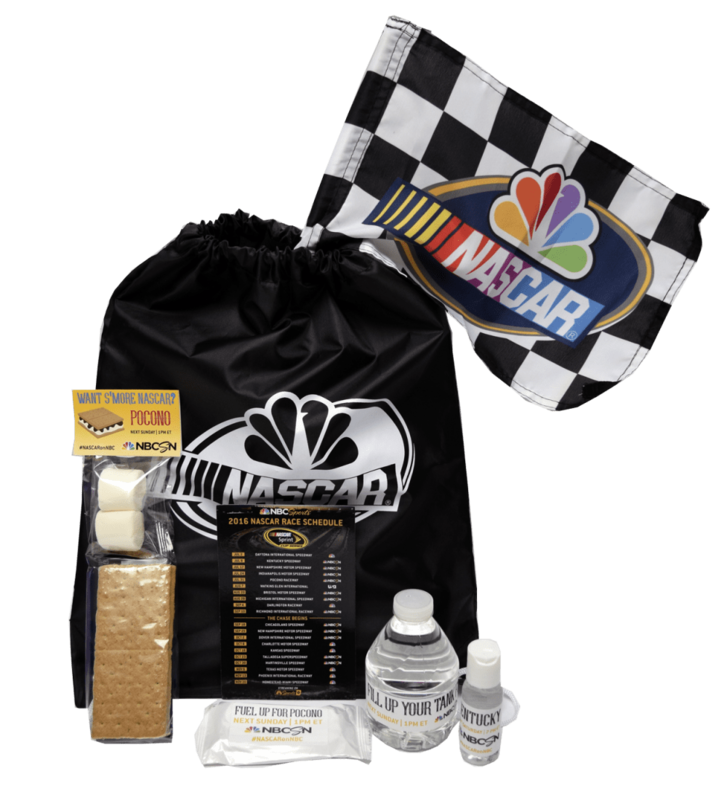 Now with their unique “swag bag”, the NASCAR team has an effective promotional giveaway that will increase viewership and drive fan engagement. Whether it is for an event or a special giveaway, Americhip has the capability to source cost-effective promotional items. With over 20 years experience in the promotional items industry, Americhip is your top source for promotional items and unique marketing concepts.